Change Walters for Arnie and go for it. Cameron draws a foul from Jedinak and Stoke get a free kick. A chance here? The Potters have won five and drew one of their last seven games against Crystal Palace in all competitions. We'd love to get another victory here today. Palace XI to play @stokecity : Speroni, Mariappa, Gabbidon, Delaney, Parr, Bolasie, Ward, Jedinak, Puncheon, Guedioura, Chamakh. Palace subs: Price, Moxey, O'Keefe, Williams, Bannan, Wilbraham, Gayle. 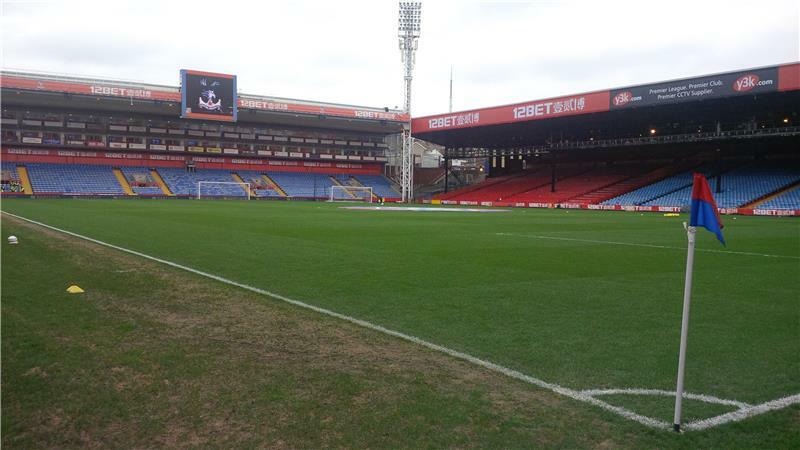 #scfc Substitutes vs Crystal Palace: Sorensen, Muniesa, Palacios, Arnautovic, Guidetti, Shotton, Ireland. 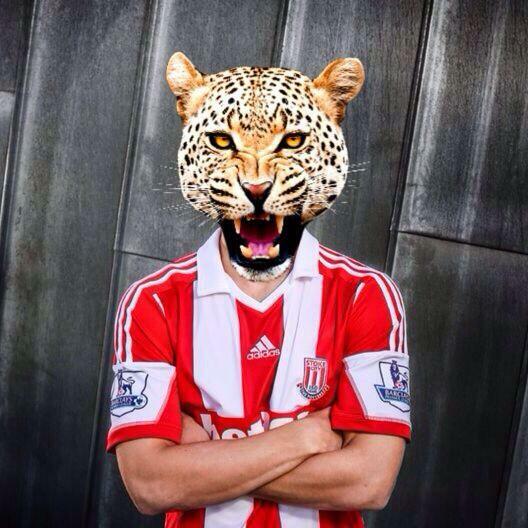 Come on Stoke! 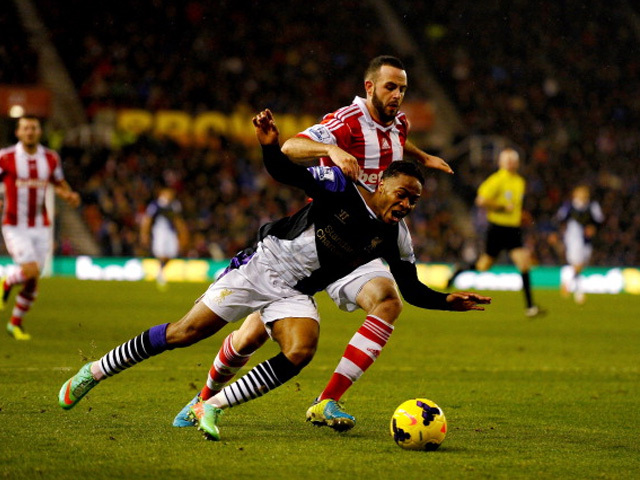 Can Stoke record their second win against a Tony Pulis side in their eighth attempt? Mark Hughes' record against him is a lot better than that so hopefully so. Welcome to The Wall here on stokecityfc.com! 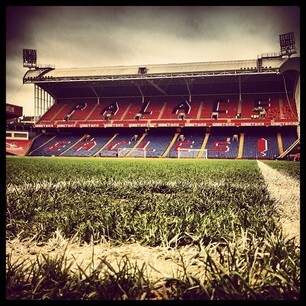 We're at Selhurst Park to bring you the latest from today's game against Crystal Palace as it happens. MH: Robert Huth is still a couple of weeks away. We are stepping him up but he is still having a few difficulties with the problem. Matthew Etherington won't travel neither because of a pulled calf and Andy Wilkinson is progressing, but he is a couple of weeks away too. Asmir will hopefully get back involved with some ball work next week too. MH: Jack Butland will keep his place in the team this weekend. He needs to experience Premier League football and I have no qualms whatsoever about keeping him in there. He is a very talented boy, and he has been good for us. One or two things didn't go his way last weekend, but he did produce a number of saves to keep us in the game at key periods, and that was pleasing. He is a very ambitious player and somebody who is eager to improve. He will definitely start the game on Saturday. MH: We want to turn our away form around because we haven't done as well as we would have liked to have done. We have two big games coming up against Palace and Sunderland and we are hoping to take points from those games. We will go into them believing that we can take the six points, and if we play to the levels we can there is no reason as to why that can't be the case. MH: We probably have a unique advantage of knowing as to how Tony will set his side up this weekend. The players we have here all played under him so they will know exactly what to expect at the weekend. The players will have a good understanding of how Tony will set his team up, and that could help us. But he will also know about our individuals too, and know their strengths and weaknesses too. It could work either way to be perfectly honest. MH: I think its fair to say that we have had a few decisions go against us, but to be fair to the referees it isn't a job I would like to do. All we ask is that they get the big decisions right, and unfortunately in recent weeks we haven't got those decisions and ultimately games that we felt we would have taken something from, we have gone on to lose. MH: We have tied Juan Agudelo to the club, but we aren't in a position where we can play him because of the unbelievable situation with the work permit. We didn't want to lose him because we feel he is arguably the biggest talent in America. We have taken him, and we now need to get him abroad somewhere until the end of the season to play some games and then reapply for the work permit in the future. Without going into the specifics of the deal we are determined to get him in here, but if we do hit a brick wall we may have to hold our hands up and say there is nothing else we can do. We are exploring every option available to us. MH: John Guidetti gives us a different option up top which is good. He is a player who can play up front on his own. He has fantastic intelligence around the box, and when he gets opportunities he usually scores. He will go straight into the squad for the game at Crystal Palace. He has had a few injury and illness problems over the past year or so, but he will be hoping to get himself back to his best, and we are hoping to help him to do that. MH: We have had no approach from Galatasaray for Charlie Adam. I don't know where that has come from. He is playing very well at the moment and we want that to continue to be the case here. MH: I was disappointed with what happened with Kenwyne last weekend. We spoke on Monday, just to get an understanding of why it happened. He has been in this week training, but he won't be a part of the squad this weekend. Maybe moving forward that could change, but we will have to wait and see. We have had no contact from anybody for him this window, so maybe the information he is getting isn't correct. It is unfortunate because none of us really saw it coming. Hi Andy - it is certainly an exciting capture. If he can replicate the form he showed in the Netherlands, he could be a very shrewd capture until the end of the campaign. The press have congregated in the media room ready for his arrival. Fantastic day for Group Tickets yesterday groups from all over the world, Australian Schools Football AUS & Benedictine College from Kansas! Peter Crouch believes that there are plenty of plus-points to be taken out of yesterday's game. He says the work-rate of the team and the ability to score three goals against Liverpool was great, although he too was disappointed with the final outcome. 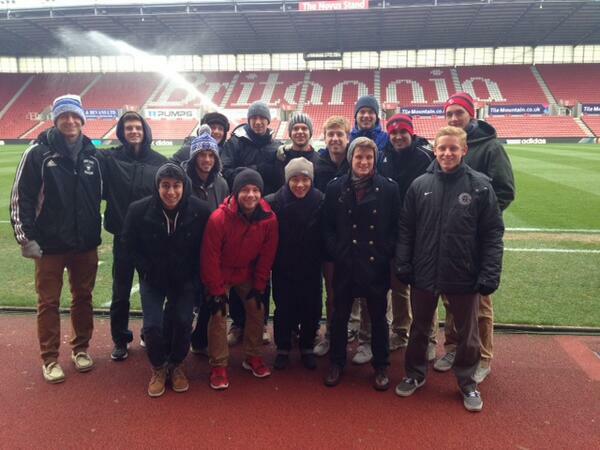 Read what Crouch has to say HERE. 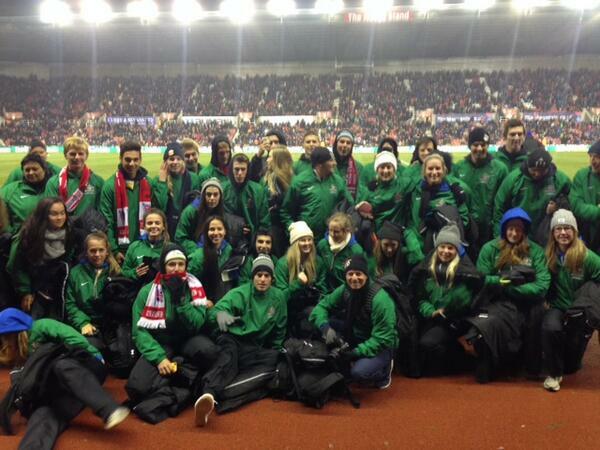 Stoke City's Ladies, meanwhile, thrashed TNS 7-0 away from home in the FA Women's Cup Second Round. They get £300 prize money and a place in the Third Round for only the second-ever time. The Under-18s returned to action at the weekend, but it was a disappointing result for them as they were defeated 4-0 by Manchester City. Read what happened HERE. Manager Mark Hughes and one of Stoke's goalscorers, Peter Crouch, spoke to Stoke City Player following the game and you can watch what they had to say now HERE. Extended highlights of the match will also be online later. Not a nice way to be begin premier league life, important experience for me to take forward! Weren't at our best but all focus on CPFC now!